Need to get some attention? Important messages call for a big display. Our 6' Tall Single Line Stanchion Post is perfect for high traffic areas such as airports or restaurants that need a sign "head & shoulders" above the crowd. These stanchions increase your visibility and they make your messages really stand out. The Retracta-Belt feature adds functionality and allows the sign post to be integrated into queue lines. These 6' Tall Retracta-Belt stanchions feature increased visibility from further distances. Two piece construction allows easy on-site repair. This avoids the costly expense of shipping the unit back to the manufacturer for repairs.The base weight is extra heavy at 30 lbs. for additional stability. Each stanchion includes molded rubberized floor protectors. www.CrowdControlExperts.com specializes in pedestrian traffic and crowd control stanchions and systems offering the highest quality and widest variety of Stanchions (Stantions), Barriers, ADA Compliant Posts, Display Posts, Heavy Duty Utility Posts, Single and Dual Line Posts, Belts, Ropes, and other crowd control equipment at the lowest prices. www.CrowdControlExperts.com has served tens of thousands of customers including retailers, fortune 500 companies, hotels, churches, health care, educational institutions and government facilities throughout North America and worldwide since 1993. CrowdControlExperts.com can be viewed at http://www.crowdcontrolexperts.com or by calling us at 631-367-2005. Get ready for the baseball season with Portable Outfield Fencing for athletic fields, schools, parks & multipurpose fields. 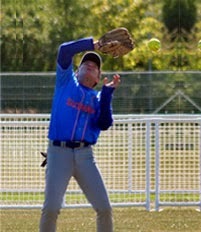 SportPanel is the superior portable outfield fence for baseball, softball and little leagues. It's the affordable alternative with all-around superior performance! Practical and affordable portable athletic field fencing that can be permanent or temporary. Specially designed to be portable, SportPanel is the practical and affordable outfield fencing choice for schools, parks and athletic leagues looking for athletic field separation. Our portable sport fencing can be used as a temporary outfield fence that can be moved and expanded or contracted in minutes, depending on the size of field you need. SportPanel is ideal for multi-purpose fields or facilities that need to create different field sizes for different sports. SportPanel also makes an ideal permanent fence, as it is durable, long lasting and weather-resistant. You can keep our sport fencing up for the duration of the season or take it down between games. Sturdy construction for long-lasting outfield fencing. SportPanel is made of high-quality PVC for the fence frame, which provides superior resistance to impact and a firm and sturdy, yet lightweight base of support. The support legs rotate and are configurable to adjust to varying terrain and to allow the panels to stack completely flat. The mesh grid interior is a patented UV-protected plastic that is durable, flexible and professional looking. Install an entire outfield in a few hours. Sport fencing panels ship completely assembled for simple installation and transport. They are interchangeable and the system expands to meet nearly any size requirement. Outfield fence panels connect simply and securely with weather-resistant foam connectors (1 connector is included with each panel). Secure athletic fencing to the ground with anchoring wickets (2 wickets are included with each panel). No tools are required to install. Add optional Foul Poles to complete the outfield. Patented safety feature - TechnoTip™ - protects your athletes from injury. SportPanel incorporates an optional patented safety feature called TechnoTip - a folding elbow joint system that allows the sport fence panel to fold down flat upon impact. So, if a player runs into the outfield fencing while trying to catch a fly ball, they will not injure themselves by colliding into a rigid panel. Once the fence panel is deployed, simply return the panel to the upright position and lock the feet back into place and keep playing. Add an extra level of safety with the optional bright yellow SafeRail™ which installs on the top rail of the sport fence to add visibility for the players.